New Jersey has a long history in serving as a site for diverse elements of the health care industry. 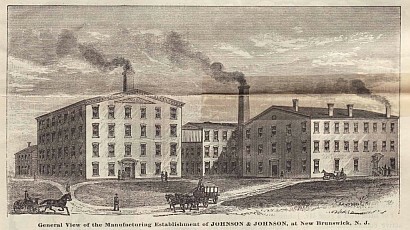 One of its best-known companies, Johnson & Johnson, was founded in 1886 in New Brunswick to make surgical dressings, later expanding into consumer markets with adhesives, medical devices and pharmaceuticals. New Jersey's location as a major petrochemical refining complex also contributed to the state's emergence as a leading pharmaceutical center, as chemicals were developed into new combinations for the production of drugs. At the beginning of World War II, Schering, another German firm founded in the nineteenth century, also was taken over by the US government, becoming a major New Jersey employer as Schering-Plough until it merged in 2009 with Merck, its fellow drug manufacturer with German roots, to form the world's seventh largest biopharmaceutical company. In the same year as the Merck-Schering-Plough merger, another transaction combining firms with large New Jersey workforces occurred with Pfizer's purchase of Wyeth, which had its corporate headquarters in Madison staffed by 900 employees until the offices were folded into Pfizer's headquarters in Manhattan. Three years later, Roche, the Swiss-based drugmaker formerly known as Hoffmann La Roche with its US headquarters in Nutley since 1929, announced the closure of its New Jersey campus in relocating most operations to California. Overall, the recent mergers and consolidations within the bio-pharmaceutical industry have contributed to a decline in the comparative New Jersey share of the production-related jobs of the industry; in the past 20 years, New Jersey's share of all US pharma manufacturing jobs declined from 20% to less than 10%. Currently, the state is the site of either the headquarters or major operations of 13 of the world's 20 largest bio-pharmaceutical companies, including Johnson & Johnson, Merck & Co., Bristol-Myers Novartis, Novo Nordisk and Bayer Healthcare, and 12 of the world’s top 20 medical technology companies, including BD (Becton-Dickinson) and Stryker. More focused sectors of the health care industry are served by such firms as LabCorp, which acquired Princeton-based Covance in 2015, and operates one of the world's largest system of laboratory testing laboratories, evaluating trials of new drugs and performing blood, urine and other medical tests for hospitals and physicians; Express Scripts, one of the nation's largest integrated pharmacy benefit management and claims firms; and Wheaton Industries, founded in 1888 by a pharmacist in Millville which became one of the nation's leading manufacturers of laboratory and pharmaceutical glassware. The .health industry dominates the lists of largest employers in the state compiled annually by publishers such as NJ Biz and New Jersey Business, the magazine of the New Jersey Business and Industry Association. Despite efforts to control costs, health care facilities like hospitals and nursing homes remain dependent on labor-intensive services and operations. Within New Jersey, individual hospitals typically rank among the ten largest employers in each county. In 2016, two separate mergers created health systems ranking among the state's top employers. The newly-formed RWJBarnabas Health, with 32,000 employees, became the second-largest private employer in the state, behind only Wakefern Food Corporation, the parent corporation of ShopRite supermarkets. Another merger completed a few months later established Hackensack Meridian Health with 25,000 employees. The Atlantic Health System based in Morristown, the third-largest system, has over 14,000 employees. Health care employers paid nearly $26.3 billion in total wages in 2016, or about 12.4% of all wages paid in the private sector. A list of New Jersey's highest paid occupations published in 2018 by the Web site USAWage.com included five health occupations reporting the highest average salaries in the state: #1 General Internists $201,050; #2 Obstetricians and Gynecologists $197,130; #3 Other Physicians and Surgeons $195,160; #4 Family and General Practitioners $194,390; and #5 Nurse Anesthetists $185,970. $9 billion in employee salaries. 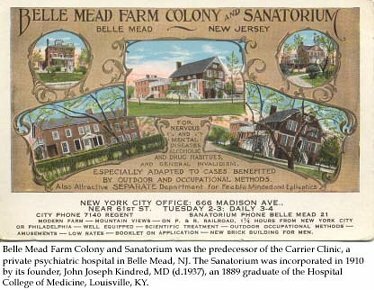 The New Jersey Department of Health was created in 1915 to assume the powers of the State Board of Health established by the legislature in 1877. Its responsibilities include licensing and inspections of hospitals, nursing homes and other facilities; evaluating "certificate of need" applications for new and expanded facilities or services; investigating complaints and adverse events reported by patients or facility staff; and licensing and supervising municipal health officers. It also publishes directories and information on health facilities and resources and is the agency in which birth, marriage and death certificates are filed. Every municipality is required to have a local health department that meets the requirements of state public health laws and regulations.